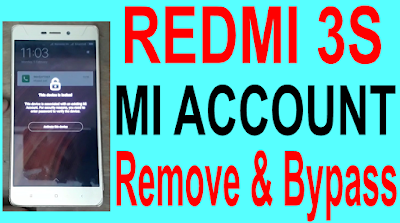 Home / How To Remove & Skip REDMI 3S Mi Account. / videos / How To Remove & Skip REDMI 3S Mi Account. How To Remove & Skip REDMI 3S Mi Account. REDMI 3S Mi Account Remove & Skip Method. 2# Here short 2 point like pic.then open edl mode. 3# Now connect usb cable and power on button click edl mode show your pic.make 9008 port on devic manager. 4# Open inferno dongle uni tool. 5# Select mi brand and select qualcomm. 6# Remove mi account select. 7# Now your phone mi account remove process. 8# MI 3s frp remove complite show and discount your phone.